This eye cream delivers unique benefits to the delicate eye area which are essential for a rejuvenated appearance. 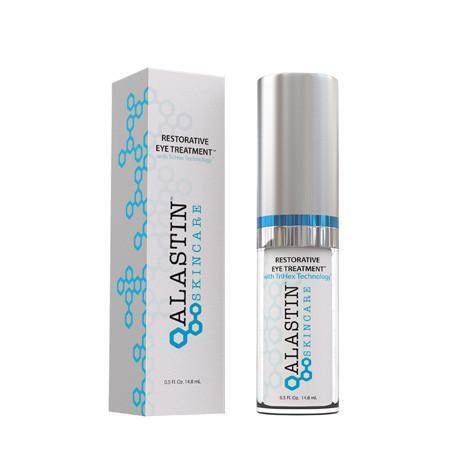 It reduces the appearance of fine lines and wrinkles around the eye, diminishes the appearance of puffiness around the eye, helps improve appearance of skin firmness around the eye, promotes even skin tone and helps reduce appearance of dark circles. Apply one pump to the area around the eye each morning and evening. Avoid getting in eyes. If contact occurs, rinse thoroughly with water. TriHex Technology™ Albizia Julibrissin Bark Extract & Darutoside, Propyl Gallate, Gallyl Glucoside, Epigallocatechin Gallaty! Glucoside, Niacinimide, Tetrapeptide-30 & Squalane, HDI/Trimethyol Hexyllactone Crosspolymer.